WESLACO — The rain couldn’t stop them. The enthusiasm of the bands who performed last night in the 76th Pigskin Jubilee UIL Marching Band Contest was too strong for wet weather. They were strong enough to present stellar performances for loyal audiences at Bobby Lackey Stadium. “I feel like we did really well,” said Lorenzo Molina, 17, drum major for the Harlingen High School Cardinal Band. He and his fellow musicians had just performed their show “The Dark Side of the Rainbow,” a new approach to the iconic “Somewhere Over the Rainbow” of Judy Garland fame. Maria Coronado, director of band at Harlingen High School, was all smiles even as the mist turned to drizzle after the band’s performance. “I think they did amazing,” she said triumphantly. One of her color guards was excited after whirling flags through the wet air. “I think they did an awesome job playing their hearts out,” said Nyleah Garcia, 17. “It was a really good run,” said Drum Major Luis Moreno, 17. 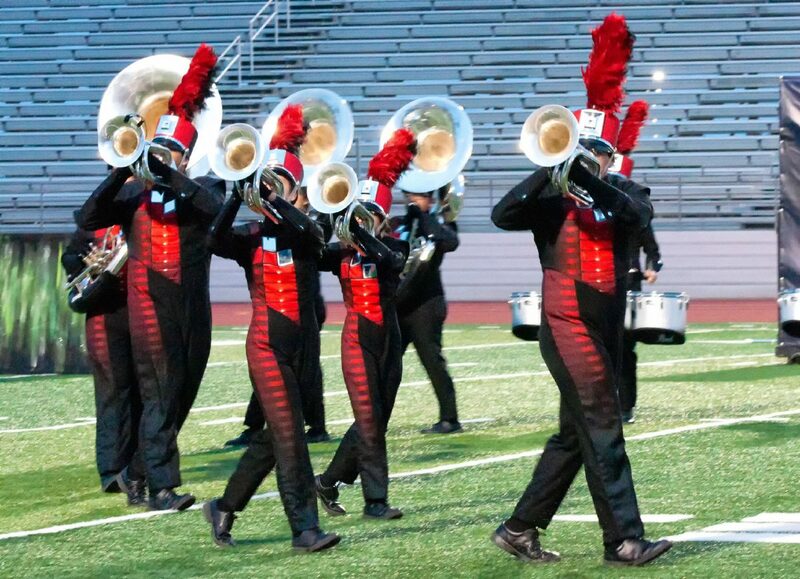 “It was definitely what we have been working for,” added Drum Captain Miah Cardoza, 17. Students and band directors were proud of how well everyone did in spite of the soggy weather. 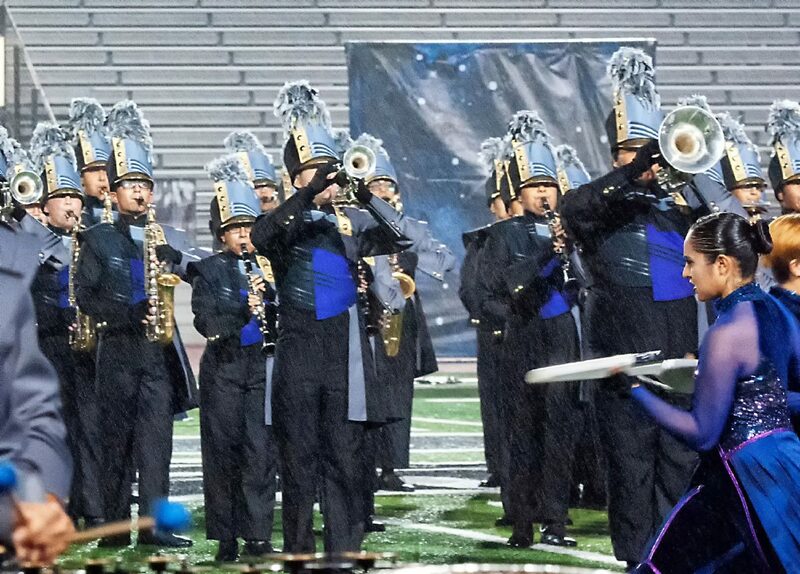 “It was wet but the kids pushed through like champions,” said Shane Shinsato, director of bands at Harlingen High School South. “It’s a tribute to their musicianship,” he said. South tenor sax player Dianey Valdez, 17, seemed especially psyched about the performance.